I had to go to A&E today 🙁 I fell over doing double jumps off ice yesterday. The pain was really bad and after 24 hours of doing the usual ice packs and putting my foot in ice water, elevating and painkillers, I got up today and knew I needed to go get it checked. At the same time, I didn’t want to in case they say I can’t skate. I felt sick on the drive over and worse when we got there. “It’s ok” I thought, I can skate next week. Gutted doesn’t even begin to cover how upset I was when they said I couldn’t skate for 4-6 weeks. What about the British? I’ve worked so hard to go to that competition. Rebecca later that day: It’s still painful. I’m trying to do some of my off ice work that I can do but mum says once we’ve been to the hospital today, she’ll speak to the off ice club coach and tell them what the hospital has said and ask him for exercises for me to do. 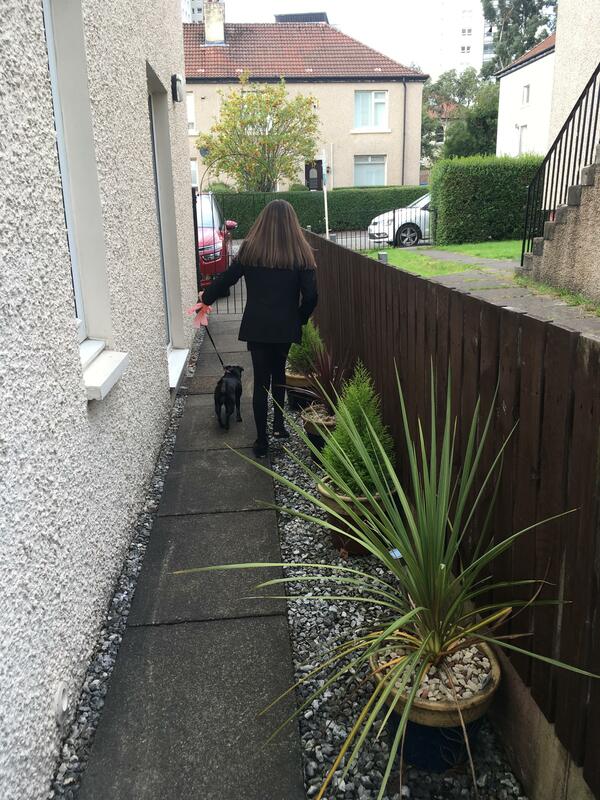 Mum dragged me out on a lonnnnnnng walk yesterday – the doctors at A&E said that walking is good to keep muscles moving so she decided on what felt like miles and miles. I was really tired and sore when we got back. The boot is digging into my shin. On the plus side, we’ve dug out some board games that I haven’t played in ages and it was actually good fun. Rebecca’s Mum: We’ve been at the hospital today and have a return appointment for the 23rd August. I’ve now formally withdrawn her from both Sheffield and Dundee competitions. I have to walk on eggshells around Rebecca at the moment – she’s up one minute and down the next. 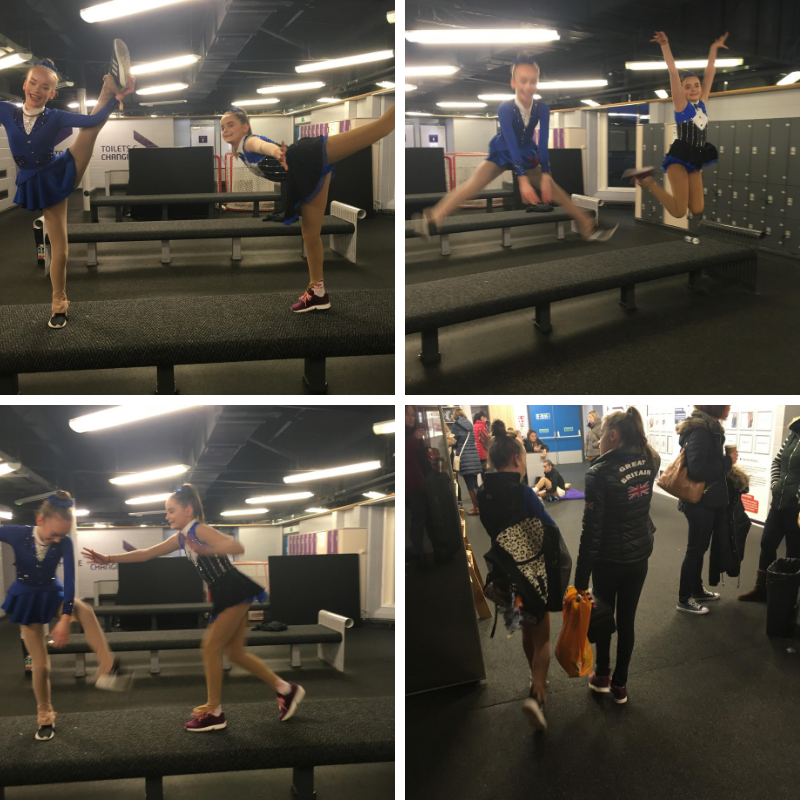 The Dundee competition is on today – another competition I’ve had to withdraw from. My foot isn’t so sore anymore so I’m hoping that its healed but I’ve still got another 2 weeks before I hope to get the boot off. Having my friends stay has been fun but not getting to do all the things that they’re doing is making me feel sad. Then I start to think and worry about how it will be when I get back on the ice. I can’t wait to get back but I’m really scared I’ll have lost my jumps. Mum says once the boot comes off that we’ll go swimming to help strengthen my legs without any weight on my foot. School starts back next Wednesday and I guess the boot will distract people from the “new girl questions” – at least that’s what I hope. I went to the rink last Saturday – it was great to see my coaches Yvonne and Silvanna and all my friends. But it wasn’t so great seeing the rink and not being able to go on it. I sooooo wish it was Thursday and I was getting this boot off. 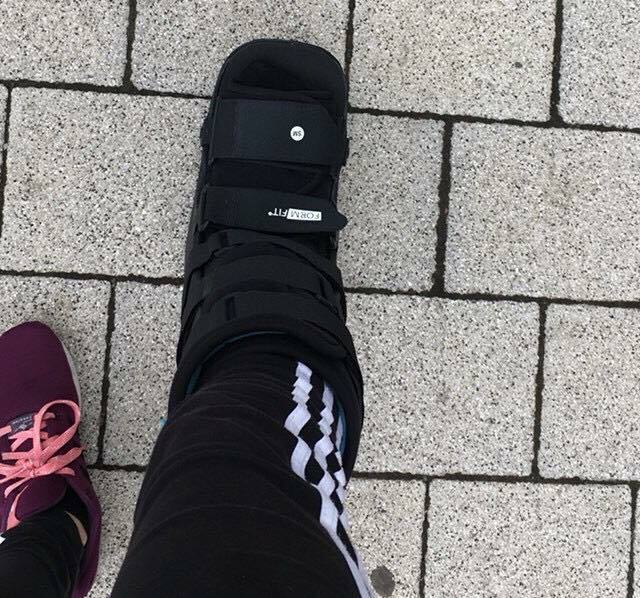 This week has gone slowly and I really want to get to the hospital and get this boot off but at the same time I’m worried that they say I have to keep it on for longer, or take it off but tell me I can’t skate for weeks. That’s my biggest fear. School has been a good distraction until it gets to PE and I can’t join in. Having to sit on the side is boring. This boot HAS to come off because I want back on the ice. I can’t see how I’ll be able to stay focused at school tomorrow. I wish my appointment was in the morning. I keep thinking about tomorrow and all the “what ifs”. Just heading to the hospital now. I feel really nervous and think it’s best not to go in expecting it to come off, just in case it doesn’t. If it has to stay on I’ll be really upset because I really want to get back to skating again. YIPPPEEEEEE IT’S OFF. BUT …. I have to wait another week before I’m allowed to begin strengthening exercises, then I have to do those for 2-3 weeks. I’m happy but at the same time not happy – I wanted to be back on the ice this weekend. I’m gutted that I’m not allowed to anything but walk for a week. The X-rays showed that there’s still a bit of bone to grow back in across the side where a bit broke off. The fracture across the top has healed though. When I first stood up without the boot on, my ankle and calf felt really weak but the Doctor saying that’s normal. I asked mum if I can go swimming as soon as possible so we’re going on Saturday! I’m also going to start some ankle strengthening exercises that don’t put any weight on the ball of the foot. I know it’s good news but I’d had such a nice time with my coaches and friends last weekend that I’d convinced myself I’d be back on the ice this weekend. It’s frustrating that I’m not allowed yet. I don’t want to wait any longer – I’m worried about my jumps and whether I’ve lost them. Yvonne [one of Rebecca’s coaches] would probably laugh and tell me not to be daft, that I’ll be jumping in no time. She’s good at getting me to believe in myself. We’re going swimming today. I’ve been doing some strengthening exercises too but I’m finding it quite difficult as my ankle feels really weak. I had a little cry on Friday morning because I tried to go upstairs a bit too quickly – my calf muscle is so tight that it hurt all the way down to the back of my ankle. Mum says I need to realise that all the muscles in that leg will be weaker and that I need to stop trying to do too much too soon. I’m excited to get in the pool because all the research I’ve done says that its the best way to rehab after injury. Mum’s coming in the pool with me – she’s turning into my physio lol. I know she wants the best and I just want to get back on the ice so we do have some fall outs. Apparently I’m going for a long walk too – not impressed! Walking is sooooo boring. Mum’s solution is to borrow a friend’s dog!!! I wasn’t expecting that, she has an answer for all my “buts”. Seeing my coaches, the rink and now having my boot off, I want to get back on the ice NOW. Skate Ayrshire is coming up – another competition that I’ve had to withdraw from. On the plus side, mum has sent in the papers for Aberdeen so that is my goal. Hopefully I’ll get in. It’s been nearly a week and my foot still feels so sore. It’s hard to walk on – not at the fracture site but all over. I’m worried I’ll need another x-ray. I talked to mum about it and she reckons its just all my muscles and bones having to get used to working again. My leg is really hurting and it feels like its burning up yet my foot is numb. Doctor says I need to rest and hopes it’s not a trapped nerve at the back of my knee. It’s so annoying. Another competition coming up (Skate Ayrshire) and I’m not doing it. I’m going to stay with my friend though who will be competing tomorrow so I’ll be able to cheer everyone on. I’m happy to be going to watch but fed up that I’m not competing. I think it will be hard to be there and not be competing but catching up with friends from other clubs will be good. My dog walks have been good as my friend Cara and her mum let us keep their dog Cooper for nearly the whole week. I’ve actually enjoyed my walks but shhhhhhh don’t tell mum. Lol. Just heading to bed but not sure if I’ll sleep as ….. I’m going to the rink in the morning!!! I’m so excited to be going but terrified at the same time. It’s like the moment of truth, you know? What if my boots don’t fit any more? What if I can’t skate? What about my spins and jumps? What if everyone is looking at me? Mum has an answer for it all but I still feel sick. Mum says Yvonne is looking forward to just getting me on the ice and doing some basic skating and edge work. I’m ok with that, it’s everything else that worries me. Aberdeen is so close. Yesterday was AMAZING. I got up and went to the rink with mum. On the journey to the rink, I felt tired and nervous. I couldn’t wait to get there but I was worried about what would happen when I did. Putting my boots on felt weird. One boot felt like it always did but my other boot just didn’t feel right at all – like it was loose. When I went on the ice, my foot was doing ok, I had a bit of a cruise around the rink and Yvonne held my hand. As we skated away, I just felt calm and happy. Some of my edges were wobbly and stiff but Yvonne knows what to say and I settled within myself and relaxed. I even tried some jumps – not my best but not as bad as I thought they would be. 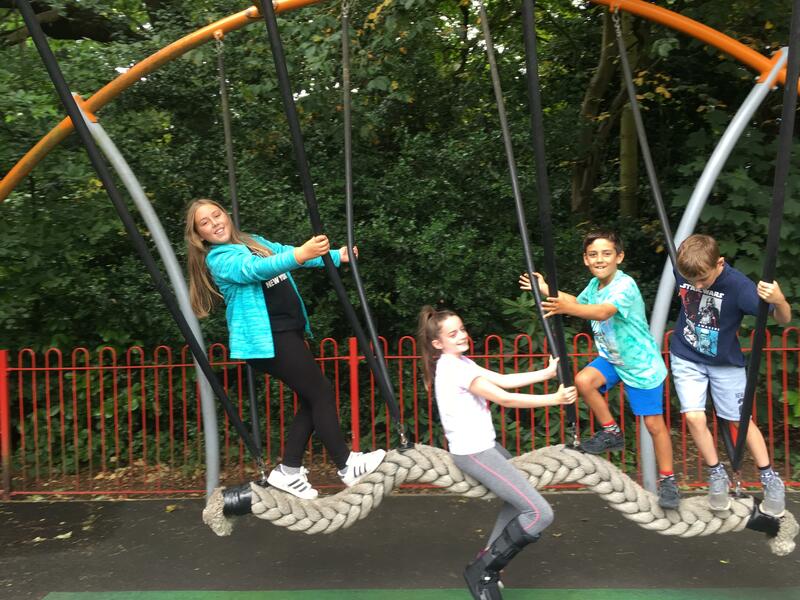 I loved catching up with all my friends – hugs all round and I felt so happy. No skating today as there are tests but I can’t wait for Sunday. I woke up today and straight away thought “my foot” but guess what?, it doesn’t hurt, it’s ok. I feel so happy and excited to get back into my skating and be ready for Aberdeen. Rebecca’s Mum: Day 2 back at skating and she wants to try running her programme. Yvonne said ok lets try. She only managed a little but got a wobbly jump in. I’m having to accept that I have no chance in getting her to take it slow. She took really bad falls on her tail bone but luckily they were in her lesson so Yvonne was able to stop her doing more. I had to play the baddie and take her off the ice at 7.15am after she’d been on the ice just under 2 hours. She’s hurting but happy and smiling. Rebecca: I was surprised how awake I felt going to the rink this morning considering I couldn’t get to sleep last night. I did some skipping and ankle rotation and pointing my toes. When I put my boots on it didn’t feel so weird this time. I got on the ice and just felt good – Yvonne had me doing edges and some spins and jumps. I could feel some pain in my calf but I know that’s just the muscles getting a work out. I had a couple of bad falls but it felt so good to jump. Yvonne put on my free music and once the music started, I just thought of my routine and forgot about my foot. I even landed my first jump. I wanted to do more but seemed to be behind the music and had to miss bits out. I’m tired but happy. I had to use some deep heat cream on my lower back – Mum looked so worried, I had to convince her I was ok. It hurt but I wanted to keep going. My foot was beginning to hurt after I’d been on the ice about 2 hours and mum said I had to get off when I told her. My heart said “no I’m staying on” but my head said “listen to mum” but shhhh don’t tell her I said that lol. It’s been a week since I got back on the ice and I’m so happy but I wish I could just get on with it. My foot hurts a lot but not at the injury site. It’s so strange. It’s been explained to me that the muscle tone in my foot and ankle has changed, making my foot slimmer. When I put my boot on it seems fine but on the ice it feels loose. 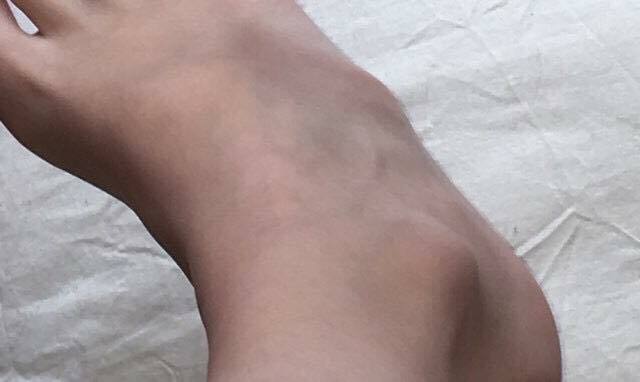 Because the top of my foot isn’t as big, the tongue of my boot isn’t sitting properly so instead of going down the sides of my foot, its sitting slightly on the top and that makes it really sore to bend into jumps and back crossovers. I never gave my boots a thought – just thought they’d feel like normal. After my lessons it really really hurts and to top it all off, my blades need sharpened. My lessons are going well and I’ve managed to run one of my programmes end to end although I’m puffed out. I need to work on my stamina. Yvonne is happy with my progress and always asking if my foot is ok. Today I really felt the muscle in the back of my leg pulling – Mum said it’s ok as it shows that I’m working it but that I needed to stop if it was sore. I’m not happy right now – my foot is swollen, hurting and mum wants to go back to A&E as it’s been like this since Friday morning. I’m in my room refusing to go. What if they say I have to come back off the ice, I couldn’t bear it. So we ended up going to the hospital – the journey was just like before. We sat in the waiting room for 3 hours and the verdict is that I haven’t broken anything but I’m causing a lot of stress to the tendon that is trying to reconnect to the broken bone and that’s why it hurts so much. The doctor wasn’t pleased I was back on the ice and said I need to stop everything for another 2-3 weeks and then go back gradually – not straight back into skating 5-6 days/week. He says if I don’t listen then I’ll have chronic problems and may not even skate again. So I have to listen but I’m going to bed upset and worried. What if my coach drops me? I’m so fed up with this foot, I just want it to be normal. It’s so unfair. So, when I was first told I had to come off the ice again, I was so annoyed and fed up. But once the Doctor explained everything to me and how serious it is if I don’t listen … this is going to shock you but ….. I’m actually ok with everything and I know this is best for the long term. I’m not willing to risk it. I know, I’m being so sensible!! I do miss skating but it’s the right thing to do. Yvonne was really good – turns out she’d been worried and I hadn’t been telling her how sore it was as I didn’t want to disappoint her. So when Mum called her with the update, Yvonne said “right, do what they say and when you can get back on, it will be with the ankle strapped and we will ONLY do edges and spins” That’s going to be hard as I really want to jump but I know it’s the right thing to do. Now I know my body is telling me something and I have to listen rather than letting my heart make the decision. I’ve got my dreams and hopes and I want to achieve them so I’ve been taking it easy and counting the days down. My foot still has some niggles at the strangest times for no particular reason. I’m going into the rink on Thursday morning for a 30 min lesson and only edges and basics – NO JUMPS. I feel so excited to get back on the ice but scared and sick feeling in case I have problems again. I know I’ve done everything the Doctors have said and my foot isn’t hurting nearly as much now but silly things like running up/down to my bedroom can hurt. Mum says its cos I’m like an elephant thundering up and down the stairs 😉 She could have a point but don’t tell her that! Being off the ice has allowed me to spend some extra time studying as I’ve had Maths and Chemistry tests. Turns out I’m actually listening in class and taking it in as I got 100% on my Maths test and an A in my Chemistry! That actually shocked me! I’m in the car heading to Aberdeen competition. I had a good lesson with Silvanna this morning. I’m nervous about the competition but I have believe in myself. I know it’s going to be hard – my aim is to skate clean and make it to the end of my programme. My stomach is in knots but my physio is up at Aberdeen so she’s about if I need her. My friend Lucy from Dundee is competing in the same level as me which makes me feel better. We’ve competed together on and off through the levels so it’s the best when we get together. Rebecca’s Mum after she’d skated: She made it to the end but only just. She had to take out the Axel Double loop – that the one that still hurts. She looked slow over the ice, wobbly on her jumps and just exhausted by the end but I’m so proud that she kept going. She finished 13th place with a score of 29.63. It’s the lowest score she’s had for a long time and she was really upset about it. Yvonne had words with her and told her to stop thinking like that, that she’d only been back on the ice for 2 weeks after 3.5 months off and she skated well considering all of that. Now the focus is on the British. Rebecca’s Mum: She’s getting stronger every day. Physio has been going really well and may even be coming to an end soon. She’s going to the British without me for the first time (her Dad is taking her) – thank goodness they’re live streaming it so I can watch. I can’t believe I made it [to the British]. Thank you for everything. I hear other skaters talk about what they can get from their sponsors and think “you have no idea, it’s not just about what you can get, it’s about what you can do together”. Thank you for believing in me. I’m not back to where I was but I’m getting stronger every week. This British is about me proving to myself that I can come back and prove everyone wrong. Rebecca’s Mum: Well the British didn’t go as planned – her second jump was the axel double flip and as she went into it her foot moved which freaked her out and it went wrong. I thought something had happened again yet she kept going. It takes such guts to fall and get back up – that deserves respect. Rebecca is a normal moody teenager but on the ice, I never doubt her commitment and sheer stubbornness to get it right as soon as possible. Never once have I heard her say “No I can’t do that”. I’m so proud of her. It’s been a tough year but she’s ready to start the next season now and work on getting good scores. Thank you Rebecca for sharing this journey of your injury. We know it wasn’t easy to bare your soul and at times it’s been really upsetting but we’re so proud of you for letting us all know what it’s REALLY like to recover from a serious injury. You’re an amazing young woman who has more resilience that anyone would ever expect from your quiet external demeanor. We’ve come to understand just how much skating means so much to you and we know you dig deep to give it your all every time you’re out on the ice. We’ll be following your upcoming season and hope to see you getting back to where you were before your injury. Good luck!